This recipe was WONDERFUL! I honestly think this is one of the most delicious dinners I have ever made! It was simple and so rewarding. To make things simpler, rather than making my own bread crumbs I bought Italian style Panko bread crumbs. Though they are seasoned I still added the seasoning from the recipe. A tip for breading the chicken: use one hand as a wet hand, and the other as a dry hand. This means only touch the egg with one and the flour and bread crumbs with the other. Also, I did not add milk to the egg mixture. 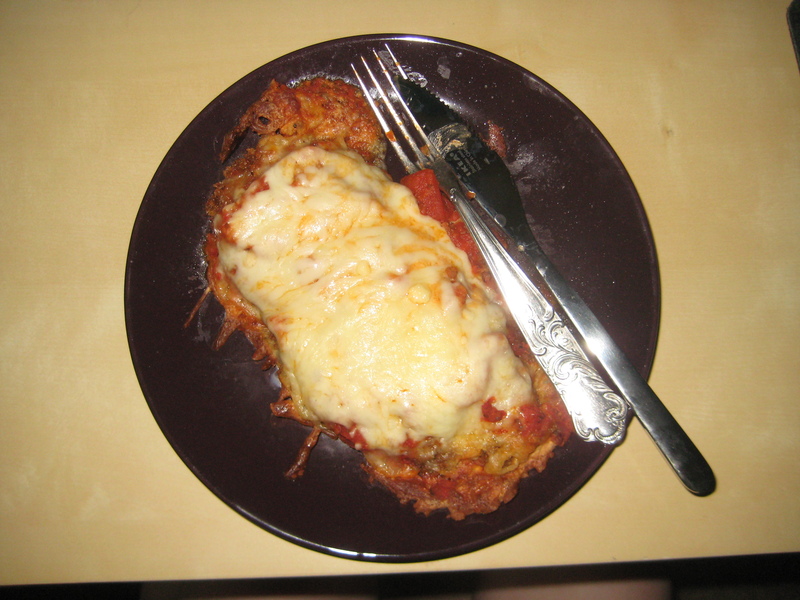 Lastly, I used 2 cups of shredded mozzarella rather than the amount in the recipe. Highly recommended, this is a must-make recipe!